Raccoons use a wide variety of land cover types, but generally select areas with a variety of vegetation types and age classes. Bottomland hardwood forests provide diverse foods, including hard mast, insects, and aquatic species. Croplands, fallow fields and other open areas provide fleshy fruits such as berries, insects, and mice or other animal prey. 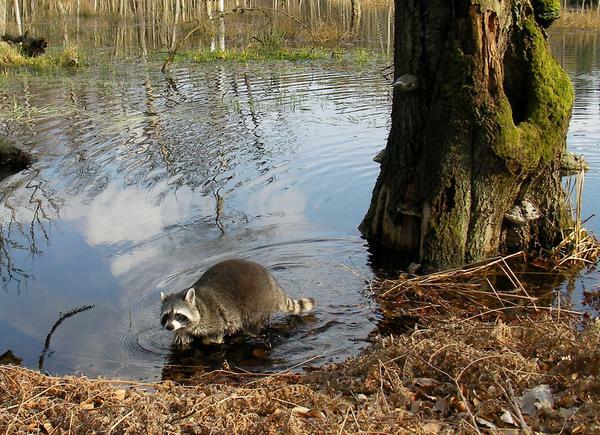 Raccoons depend on wetlands for a large portion of their food and are seldom found far from water. They also are common in urban areas and adapt well to living near people. 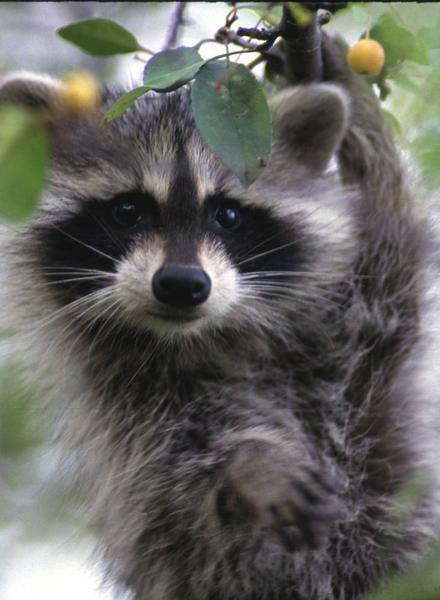 Female raccoons use cavities in living and dead trees, abandoned burrows, hollow logs, and culverts, for dens. Both ground dens and cavity trees are used for shelter and escape, but tree cavities are preferred for raising young. Suitable ground dens include old woodchuck or fox burrows, rock crevices, downed trees, abandoned buildings, and brush piles. Active den trees can be identified by claw marks or worn bark. Dens are usually located just below or within the tree canopy. Preferred cavities have 4 to 10-inch openings, are at least 15 feet from the ground, and are sheltered from rain and strong winds. Raccoons must drink water daily. Permanent sources of open water are a critical part of the habitat. Home ranges average about 200 acres and vary from 1⁄2 to 11⁄2 miles in diameter. During years with varying habitat quality, movement activity and distance may change. 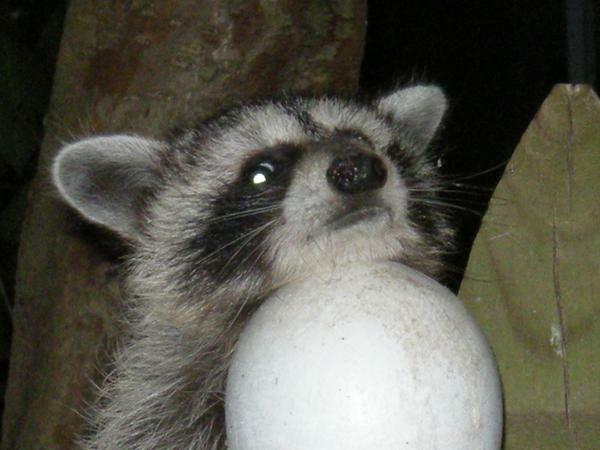 For example, raccoons may move long distances when populations are low and food is scarce. 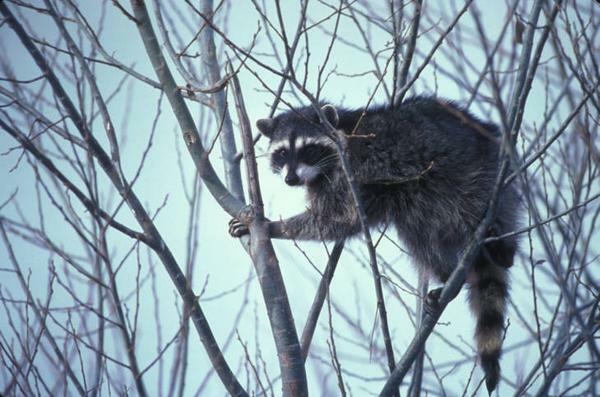 Species that benefit from raccoon management.